by: Chris E. Fonvielle Jr. 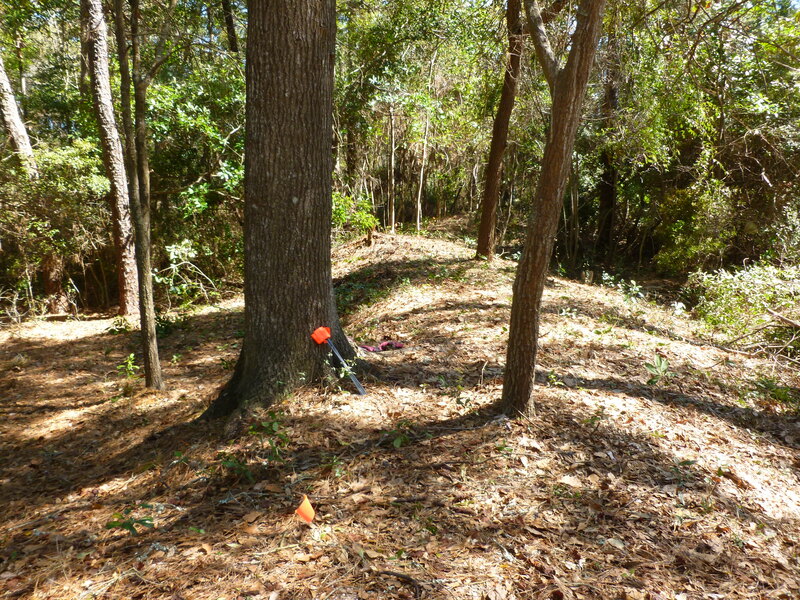 The Sugar Loaf Earthworks Preservation Group is committed to preserving and interpreting a section of the Confederate defensive line at Carolina Beach. 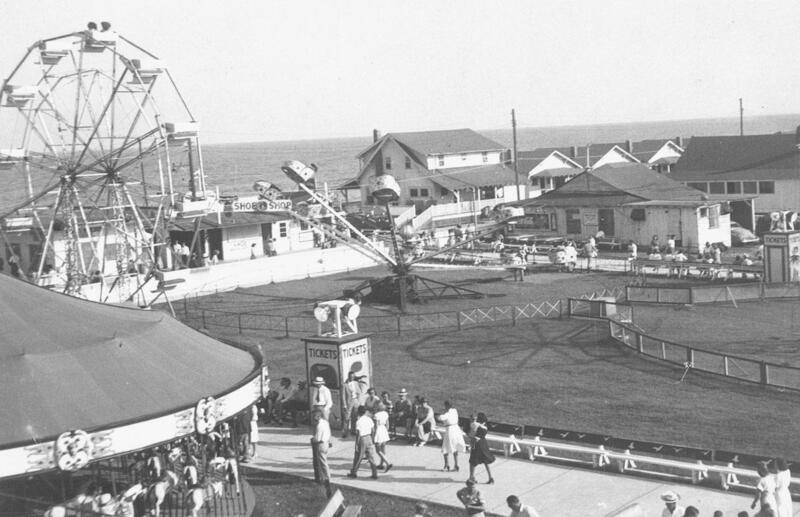 The long-range plan is to make the historic site, to be called the Joseph Ryder Lewis Jr. Civil War Park, accessible to the public for educational purposes and to increase heritage tourism on Pleasure Island. 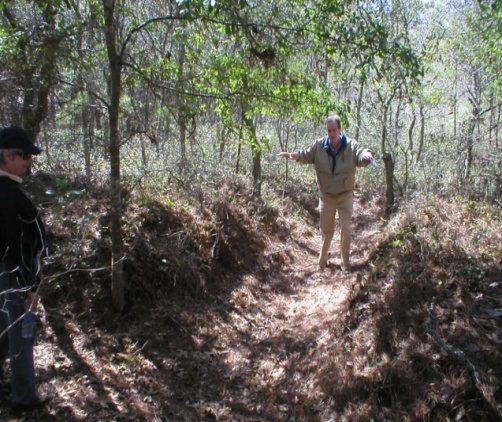 The Sugar Loaf earthworks served as an auxiliary line of defenses to Fort Fisher, approximately four miles to the south. They helped guard Wilmington, North Carolina, the South’s main seaport for trade with the outside world during the Civil War. To impede the business, President Abraham Lincoln proclaimed a naval blockade of the South’s coastline and major ports in April 1861. Confederate commerce vessels, called blockade-runners, attempted to run through the gauntlet of Union ships that appeared at the entryways to Southern seaports, including Wilmington. Many of the smuggling vessels were built, leased, or purchased in Great Britain, which soon became the Confederacy’s main trading partner. More than 100 different steamships operated as blockade-runners at Wilmington alone, to say nothing of the undetermined number of sailing ships that were also employed as smuggling vessels. To protect the vital trade, Confederate engineers designed and built a vast network of forts and batteries on the beaches of New Hanover and Brunswick counties, and along the banks of the Cape Fear River. Fort Fisher guarded New Inlet, the northern passageway into the Cape Fear River. By 1864, Fort Fisher was the Confederacy’s largest and strongest seacoast fortification and was referred to as the Gibraltar of the South. Engineers erected auxiliary batteries nearby, including Battery Anderson (then located on the north end of modern Kure Beach) and Battery Gatlin (located on the sea beach across from Forest By the Sea development on Carolina Beach). As Union forces prepared to attack Wilmington by way of Fort Fisher in the autumn of 1864, Major General W.H.C. Whiting, commander of the District of the Cape Fear, expanded existing defenses to meet the threat. 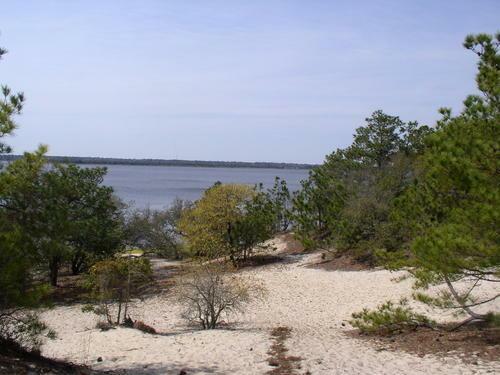 He selected in part a “strong position” stretching from the sound (modern Carolina Beach canal) to Sugar Loaf hill on the Cape Fear River, for an extensive line of earthworks. Sugar Loaf itself was a natural sand dune that stood 50 feet in height on the riverbank. Whiting planned to place a battery of artillery on the summit of the hill. After Union forces failed to capture Fort Fisher in December, they returned for a second attempt less than three weeks later, mid-January 1865. The campaign turned out to be the largest amphibious operation in American military history until D-Day, World War II. More than 6,400 Confederate troops of Major General Robert F. Hoke’s Division now defended Sugar Loaf. General Lee had sent them from Virginia to help keep Wilmington in Confederate hands. Improperly used by General Braxton Bragg, the new commander of the Department of North Carolina, Hoke’s Division was unable to prevent the fall of Fort Fisher on January 15, 1865. General Alfred H. Terry’s forces that captured Fort Fisher quickly turned upriver to strike Wilmington. They reconnoitered and probed the Sugar Loaf lines for a weak spot. On January 19, 1865, the Federals attacked with two brigades of troops, including Colonel John W. Ames’ regiments of U.S. Colored Troops. Unable to break through, they launched an even bigger assault on February 11. U.S. Colored Troops played a major role in what became known as the battle of Sugar Loaf, although the Confederate defenses again proved to be too strong to overrun. With Wilmington now closed to blockade running, General Lee was forced to abandon his position at Petersburg, Virginia. He attempted to escape westward but was caught by General U.S. Grant’s forces. On April 9, 1865, only forty-six days after Wilmington fell, General Lee surrendered to General Grant at Appomattox Courthouse, ending the four years long and bloody Civil War. Much of the earthworks that comprised the Sugar Loaf defenses are in a remarkable state of preservation, despite the fact that they were made almost entirely of sand. However, they are also difficult to access because of their remote location inside Carolina Beach State Park or because they are on private property. 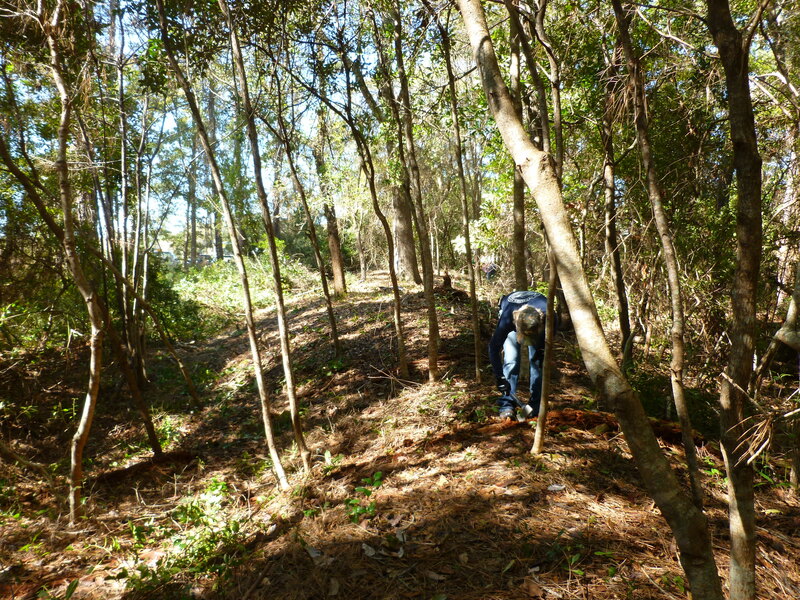 The Joseph Ryder Lewis Jr. Civil War Park will both remedy public inaccessibility to a section of the Sugar Loaf defenses and promote heritage tourism on Pleasure Island. 1 Whiting to Gilmer, September 16, 1864, U.S. War Department, The War of the Rebellion: A Compilation of the Official Records of the Union and Confederate Armies 128 volumes (Washington, D.C.: U.S. Government Printing Office, 1880-1901), series I, vol. 42, pt. 2, 1253 (hereafter cited as ORA). 2 William Lamb, Colonel Lamb’s Story of Fort Fisher (Carolina Beach, N.C.: Blockade Runner Museum, 1966), 11; Hill to Hawks, October 28, 1864, Francis T. Hawks Papers, Southern Historical Collection, University of North Carolina, Chapel Hill. 3 Headquarters, Sugar Loaf, December 26, 1864, ORA, vol. 42, pt. 3, 1314. 4 Chris E. Fonvielle Jr., The Wilmington Campaign: Last Rays of Departing Hope (Campbell, California: Savas Publishing, 1997). 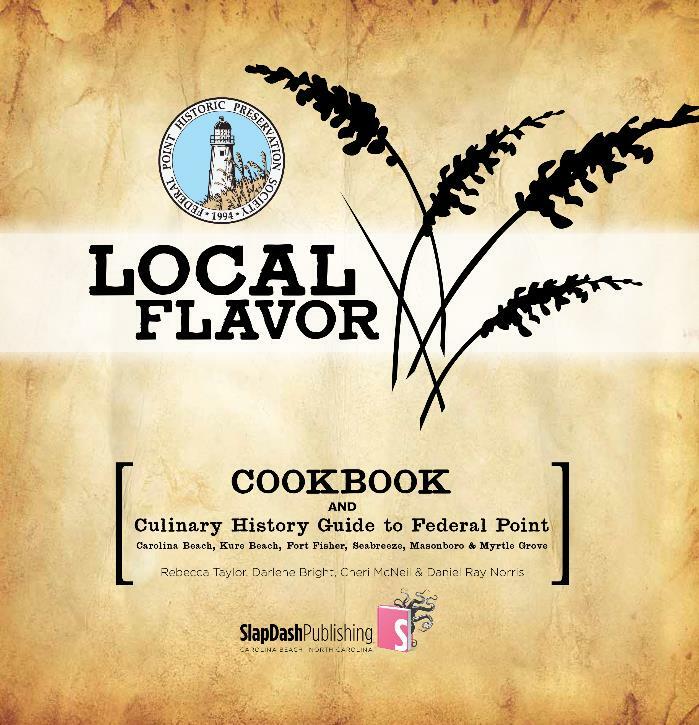 The Federal Point Historic Preservation Society will hold its monthly meeting on Monday, March 17, 7:30 pm at the Federal Point History Center, 1121-A North Lake Park Blvd., adjacent to Carolina Beach Town Hall. Our speaker this month will be Richard Neal. 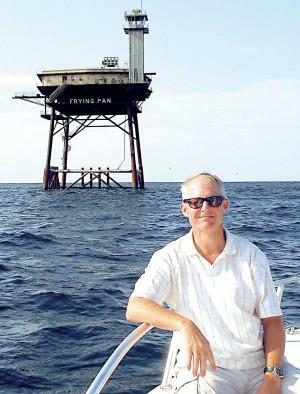 He will be speaking on the history of the Frying Pan Tower (Light Station) and the set of events that brought a landlubber to be head of the restoration effort ongoing since acquiring it in 2010. 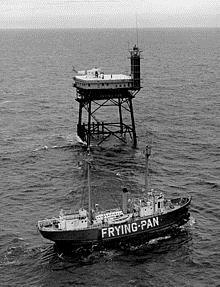 Along with one of the Frying Pan Tower Directors, he will share some video clips and images of the facility over the years as well as during the current restoration projects. Richard is a software sales engineer and has worked as an engineer, draftsman, industrial chemist, programmer, industrial hygienist, author, several minor C- level positions and business owner but the position he is most proud of is as husband of 29 years to his wife Rhonda, and father of four children. This letter is for the Kure Beach Town Council. First let me say that I am very pleased and impressed with the work that has been done by the Town Council these past few years in Kure Beach. The new park and especially the new street lights and sidewalks are fantastic! It has to be a difficult task to keep a small town progressive all the while preserving it’s wonderful past, but you folks sure do try and succeed. I love Kure Beach and this island as a whole! Last year, I discovered the Federal Point Historical Preservation Society and joined immediately. I have so much enthusiasm for this organization because I am a direct recipient of all the good work it does just like being a citizen of Kure Beach under your guidance. All work done is done for the good of all. I know that the Town of Kure Beach has in the past supported the FPHPS and you have been mentioned with applauses in our meetings. Please consider once again supporting us this year as we endeavor to locate, mark, and preserve the valuable history that we are all so very lucky to find all around us. Thank you for all the things you do for us and for taking time out today to read this letter!! The walk will last about 2 hours. A $5.00 donation is requested and can be paid the day of the walk. There is a limit of 25 participants so everyone can see and hear Dr. Fonvielle’s narration. Reservations may be made by calling the Federal Point History Center at 910-458-0502. 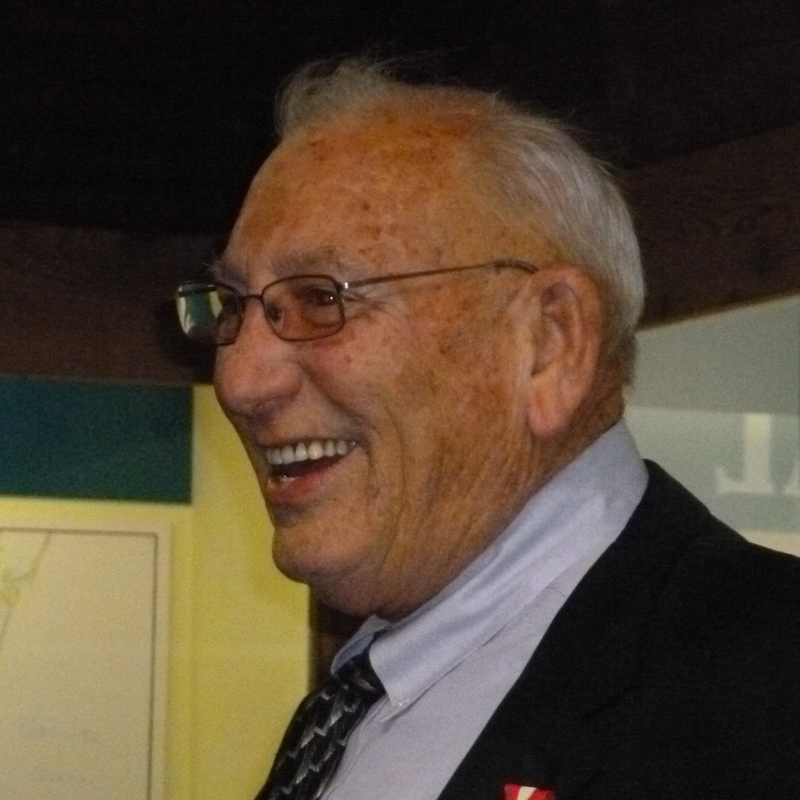 The chronology was originally compiled by Bill Reaves (1934 – 2000) who typed it on index cards. Upon his death, the collection was given to the North Carolina Room of the New Hanover County Public Library. The library shared the typed index cards with the Federal Point Historic Preservation Society whose volunteers typed the 285 page manuscript. 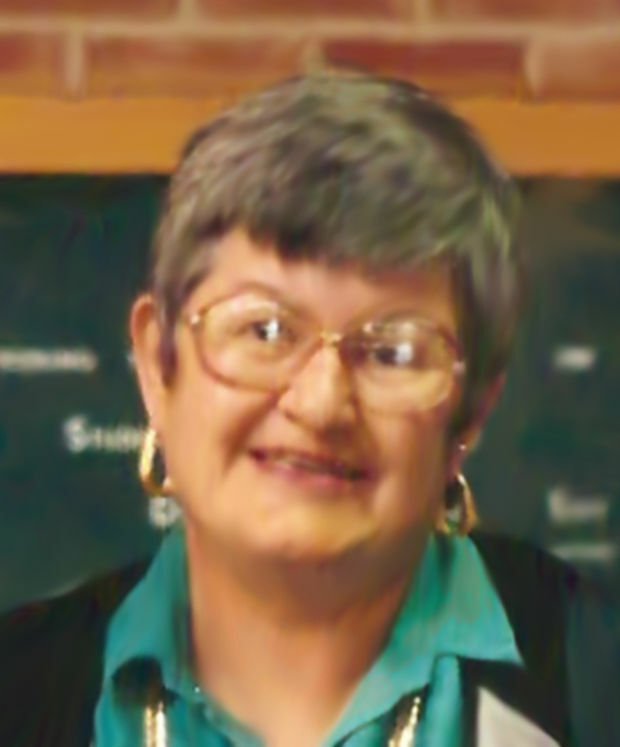 Ann Hewlett Hutteman prepared the index for the Federal Point Chronilogy. 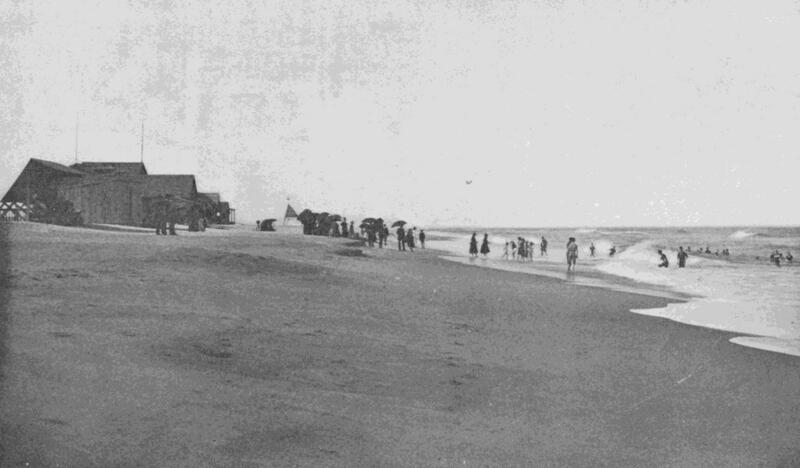 The cover photo (below) depicts Carolina Beach in 1897. It is taken from a pamphlet published by The Wilmington Chamber of Commerce entitled New Hanover County, The Sub-Tropical Region of the Old North State (New Hanover County Public Library, Special Collection #92). The information was gathered from many sources; however the majority of it was taken from Mr. Reaves’ vast newspaper collection. The entire PDF file (3.8 Mb), the “Bill Reaves – Federal Point Chronology” downloadable here: Bill Reaves – Federal Point Chronology 1728-1994.pdf The file is presented in chronological order starting in 1728. If you download the file, using tools such as Adobe Reader or Apple Preview, the large Chronology PDF file can be keyword searchable. The Federal Point Historic Preservation Society used the entire contents of the original 2011 Federal Point Chronology PDF file – breaking the PDF document into pages based on year. All pages and all articles of the original PDF are included in this web version of the Federal Point Chronology. The right column on these pages provides access to complete yearly segments of the Chronology. In addition, this website’s ‘Search’ functionality, located on the top right of every page, provides an excellent capability for searching through all of the documents/pages of this website. Helpful hint: If searching by ‘Search’ on this website (located on top right of all pages), when opening any of the ‘Search’ retrieved pages, you can then use your browser’s ‘Find’ command – (Ctrl F or Cmd F) to search within that web-page or document.